Can you give a little of your background before your foray into politics? I have been a very lucky person. From age 24 I became a big man, if you like, because I was heading a department in the then Bauchi State House of Assembly. I was the head of legal drafting, the chief legal adviser to the House of Assembly. From that point on, I have not looked back. And God, in His infinite mercy, has been kind to me. I am not a rich man. I wasn’t before I became a governor, but I was a very comfortable man, and there was nothing I wanted to do that I could not do. That is the point at which I decided to take the plunge because I have actually grown up with this state. The state was two years old when I graduated. Bauchi was created in 1976 while I graduated in 1978. Even before I graduated, my state bonded me because it needed lawyers, doctors and pharmacists. I became attorney-general twice under two different governments: the military government first, and when they handed over to a civilian government, I was reappointed. What was the situation on ground when you took over as governor? The first thing I was confronted with even before I was sworn in was that labour was on strike because they were being owed four months salaries. I called labour and we sat down. I asked my deputy governor to sit with me, and we convinced them to return to work because the strike would have affected even the handing over process, the transition process. I told them to please return to work and promised them that the moment I was sworn in, we would sit down and look for the best way we would be able to salvage the situation. They agreed and went back to work and we took over government. So it was incumbent on me to find ways and means of settling these outstanding salaries, and for that reason I had to take a loan because there was no single kobo in the treasury. We told the Head of Service to write formally to the House of Assembly and request for a resolution, and he did. Three or four days later, the Clerk of the House wrote to us conveying the resolution that enabled us to borrow N4billion. Anybody who understands the constitution of Nigeria will appreciate the fact that I do not have a hand in the procedure of the House of Assembly. If the House of Assembly had sat in plenary to give me that resolution, so be it. If they had sat in an executive session to produce that resolution, it is not for me to question how that resolution was procured. But the bone of contention was that you obtained the loan without an executive resolution? The provision of the constitution of the Federal Republic of Nigeria is that executive power resides with the governor. Another section of the constitution states that the governor shall appoint commissioners and sit with them periodically to determine the direction and policies of government. The constitution does not envisage a vacuum. Since the law abhors a vacuum and I gave anticipatory approval for that loan to be taken. I wrote it clearly that “anticipatory approval is hereby given; please initiate a memo for ratification when the executive is constituted.’’ So, ultimately, the executive ratified it. But before I did this, not only did I read the constitution, I also read the fiscal responsibility law, which we have domesticated in Bauchi State. So there was nowhere I was prevented from exercising my powers as governor. So these were taken care of. What did you do with the bailout funds and the money from Paris Club? 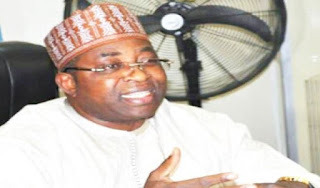 The Bauchi State Government got N8.6billion to pay outstanding salaries. Before we did that, the Federal Ministry of Finance requested from us the level of our outstanding liabilities and we wrote. They then asked the SSS to confirm to them what the outstanding liabilities of the state were. The SSS confirmed N8.6billion and we were given. We used that N8.6billioon, less N88million at the initial stage and we offset the outstanding salaries completely. For this labour, both Bauchi and national wrote us letters of commendation. When we did this we had N88million naira remaining. The vice chancellor of the state university came to me to say that they too had outstanding and I asked him what he needed. He said N70m and I ordered for N70m to be given to him, which left N18m. After a few months, the same vice chancellor came back to me and claimed that his visiting lecturers needed to be paid more and I ordered for the outstanding amount to be paid to him. I had a dedicated account for bailout, it is in Zenith Bank. If anybody wishes to have details we are ready to produce the statement of account. Concerning the Paris Club, we received N12.7bn. I was in a bus travelling from the Port Harcourt airport to the stadium for a campaign before the last elections in Rivers when the accountant-general of my state confirmed to me that we had got value for the Paris Club. My immediate instruction was, at that time we owed one month salary for the state government and two months salary for the local government; so I immediately told him to pay outstanding salaries. He now said, “Sir, if we pay outstanding salaries, the local governments will receive more than their share of the Paris Club because before the Federal Ministry of Finance released the money to us, they gave us the table containing the percentage that each tier of government should have.’’ Our own in Bauchi State is 42 for the local governments, 58 for the state. We gave the local government their share plus N600m, so as I am talking to you today the local governments of Bauchi State are owing the state government N600m for the offsetting of the two months salary that they had using the Paris Club. People alleged that we are not doing anything in Bauchi State. Everybody knows the situation, what Nigerians do not know is that Kano is the most populous state in Nigeria and it has 44 local government area, but it has a total manpower of 92,000. Bauchi State, on the other hand, with 20 local government areas, has 105,000; that is the number of people on my payroll. The outstanding salaries I said we used Paris Club to pay arose from my attempt to verify these civil servants to know the true civil servants in Bauchi State. I met a very strong concrete wall, the entrenched interest that takes away about N1bn from the earnings of Bauchi State every month in the name of ghost of workers, joined together with detractors of Bauchi State that had been denigrating the state and made it virtually impossible for us to get to the bottom of the problem of this manpower. In addition to this, Bauchi is one of the states that pay above the national minimum wage. Our minimum wage is N18, 500. So my wage bill every month is N5.1bn. And if you go back and take a look at the release, you will discover that from the time I took over till date, there wouldn’t have been more than three months in which I collected over N5bn. All other months I was collecting less than that. Today, I am proud to say that Bauchi State does not owe salaries. You can verify this. So why do you think anyone would be leading an opposition against you? The answer to your question is simple: ambition to become governor of Bauchi State. But my argument is that now is not the time for that. Now is the time to work for the people of the state. By the time we are ready to begin politics, everybody is free to come and aspire for any office. Now is the time for us to put our heads together and work for this state, and when the time of politics starts, everybody can aspire. Are you saying each one of those attacking you wants your seat or they are ganging up to support a particular person to replace you? I don’t know whether they are ganging up to supporting a particular candidate, but each one of them is harbouring an ambition. What is your relationship with the party hierarchy in the state, the national level and the bigwigs in Bauchi politics, including the Abuja-based politicians? The party in the state is behind its government; there is no problem. As far as relationship with the party at the national level is concerned. I think there is a measure of confidence between the national arm of the party and me. And this politics is a game of numbers. By the time these people finish their entire hullabaloo in Abuja, when the time comes for politics, it is here that this politics is going to be practised. At that time there wouldn’t be any gang up because everybody will go to his constituency and answer his father’s name. That is how politics is played. So what they are doing is merely grand-standing. They have some money to spend, so they are using that money for campaign of calumny against their state because that is what they are doing, essentially. So I assure you that the party is intact, our relationship with Abuja is fantastic. Do you have any window of reconciliation? Let me tell you a secret, at 2pm today I had a meeting with some heavyweights in the state who took it upon themselves to intervene. In fact I went to them, I didn’t ask them to come, and it is all in the hope of reconciliation. Before then, there was nothing I did not do. I have set up committee to ask them what is their problem, what is their grudge. All these attempts failed. We have done a lot and we are still doing. My reason is simple: I am the leader, if there is peace in the polity it is me that will enjoy the most. I am interested in peace and development in Bauchi State. Do you think the national leadership of the APC has done enough to resolve this issue? Essentially, there is no problem with the party.